What better way to kick off the Christmas season and final exam week!!! 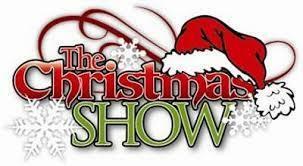 Join us for a variety show highlighting the gifts and talents of our students!!! 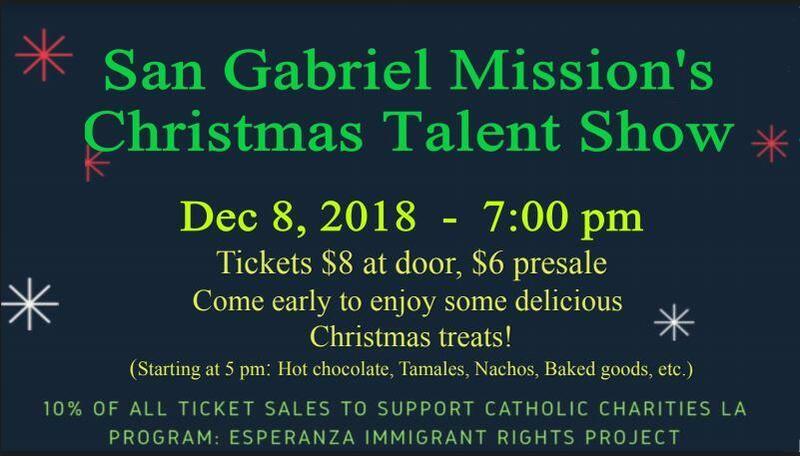 Tickets are $6 presale and $8 at the door! Auditorium/School Doors open at 5pm for a sweet or savory treat or dinner! 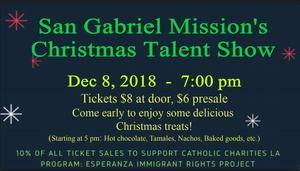 10% of all proceeds go to Catholic Charities LA Program: Esparanza Immigrant Rights Project!! !